Simple visuals are a potent communication tool. Thanks to collaborative tools, like Google Docs and even Microsoft Office 365, online presentations are now a breeze. 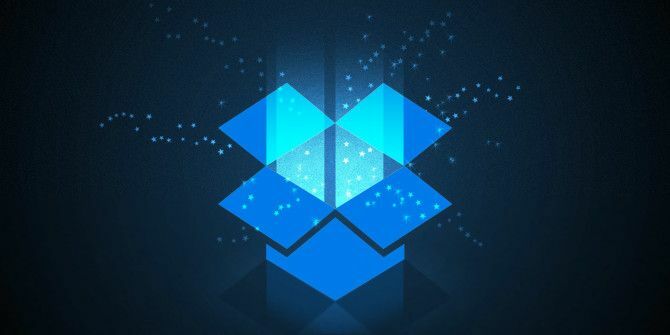 Dropbox is the latest entrant on the cloud with its almost minimal Dropbox Paper 11 Compelling Reasons to Try Dropbox Paper 11 Compelling Reasons to Try Dropbox Paper We have 11 compelling reasons for you to try Dropbox Paper. The new online document tool is off to a good start with features for personal use and collaborative work. Read More , and it has a few tricks up its sleeves. One of the hidden gems in Dropbox Paper is Presentation Mode. Keep reading for a demonstration of how you can create a slideshow in seconds and show off your photos (or anything visual) to friends, family, and the world. Sign into Dropbox Paper with your account and Create a new doc. Give the doc a name. You can click the “+” icon to insert an image/photo or drag and drop them into the box. But the fastest way is to not bother with the “+” icon for insert and just drag-and-drop them onto your blank document. As you can see in the screenshot, a toolbar floats above the image and gives you some options to arrange multiple images next to each other. Make it float left or right, keep it at the normal position, or expand it to the full width of the screen. Keep using drag and drop to add more photos or click that little image icon on the left. You should play around with your photos and organize them in an orderly pattern for the presentation. As soon as you drag and drop any photo, Dropbox snaps it into place with an eye for the order you are looking for. The best way to present individual photos is a simple linear arrangement. But you can try other orders — maybe one photo at the top and three below it, or a box-like layout with two photos on the top and two below. Dropbox is smart about it. Notice that you can also enter Captions below the photos to describe them or give credit where it is due. Want to delete an image? Select it and hit Delete on your keyboard. Once your document is complete, you can click on the blue Share button on the top-right and invite your collaborators for the presentation. Click the … icon in the doc you’re viewing. A new browser tab opens with your presentation. Go full-screen with a click on the double-headed arrow icon. There is also a handy toggle switch on the top to enter Dark Mode. A good slideshow needs keyboard shortcuts and Dropbox has them all. Here is a handy list borrowed from the Dropbox support page. Dropbox Paper is a no-frills collaboration tool. Sometimes for a quick showcase of your work you don’t need anything else. How have you put Dropbox Paper to use? Do you like its minimal and elegant design? Explore more about: Collaboration Tools, Dropbox, Dropbox Paper, Presentations. In love with Dropbox Paper. Using it as a collaborative tool for tracking all tasks and work in progress of a transversal team. Discovered the Presentation mode lately for text. It is a wonderful tool to write and organize notes and present them shortly to a team. Thanks for the insight on the slideshow mode, can't wait to try it. Thinking about it, it is the perfect tool to build a portfolio without maintaining a WordPress site. Yes. My thoughts exactly. Love the minimal quality.